"If you have a garden and a library you have everything you need"
"Dear reader, my village has a bank, a casino, a bar, and fast food but it has no library. Please donate some books because I would like very much to read. Thank you." It is heartbreaking when a child makes you realize the investment in knowledge is irreplaceable by something else. I do not believe in putting the "blame" because I know that - for something to exist, someone has to dream it. 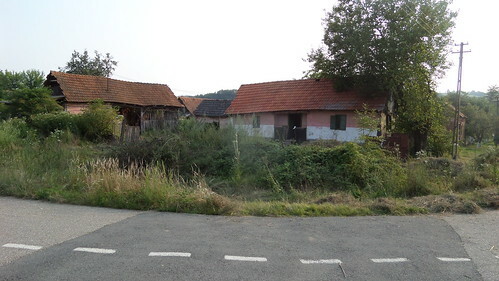 We want to revive a dying village in the west hills of Romania by buying and reconditioning old houses from the village. Each of them will have a well-defined purpose - a library, place for STEM workshops, amphitheater, and a place to create pottery, iron smithing, woodworking, and there will also be hobbit houses in the hill. Our first project is Crivobara Open Library. Crivobara Open Library will be a place for children and adults alike. In general, children tend to lean more towards technology while adults towards tradition and sustainability. We want to offer a place where ideas can take shape and projects can be put into practice, a place where culture and modern technology can fuse. ...but little progress has been made. The biggest constraint that stands in our way at the moment is a financial one. Luckily, with your help, we will be able to speed this process and finish the library a lot sooner. We are a team of six. The master builder is my father, Stefan, who has over 30 years of experience in constructions. The architect is my good friend Ami with 10 years of experience in plan and design. My old friend Mihai Deliu is automation and electrical engineer with field experience of over 15 years. Similarly, Gabi and Doru are my father's fellow workers and have already helped a significant amount in this process. Finally, I am the project manager of this entire endeavor. The goal is to document the entire process of reconditioning and share a DIY tutorial online via Patreon, Youtube, Twitter, and Instructables. We hope that doing so will inspire others to take similar initiative and at the same time exhibit what it means to recondition old houses instead of destroying and rebuilding. When the Library is complete, we plan to organize weekly meetups, events, and classes like Coder's Dojo, Arduino, Raspberry Pi Jam, 3D printing, Robotics, and other fun and inquisitive challenges. We are also active on https://www.workaway.info/657677818872-en.html website and offer plenty of tasks for volunteers who wish to help, teach or learn a few things. Have your name displayed at the end of all our future videos. At the completion of Crivobara Open Library, your name will be displayed at the library hall of fame. We will send you a pack of stickers along with a signed thank you note. Every month, you will receive fresh pictures of the village, the ongoing progress of the project and our spending sheet. Every month, you will be granted access to the AMA (Ask Me Anything) session in our private chatroom. 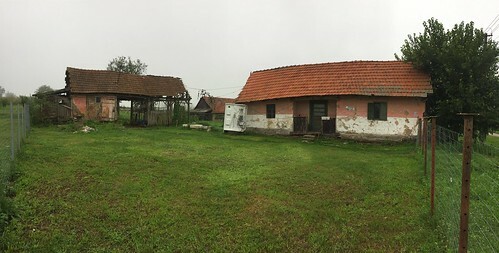 You are invited to meet us here in Crivobara for two days to see the live progress of the project. We will provide food and accommodation, all you need to do is get here. The first five patrons to maintain this pledge will have the opportunity to pick one of the five library rooms to be named after them. Right now, all the investments made are from personal savings. We have a long way to go, and in this rhythm, it will take us about eight years to finish this project. With your help, we can reach this goal much faster as the time to finalize the library will practically decrease by half. This means that we can start serving the community within the next four years. The first step is to strip the house down to its wooden structure, fortify it, treat the wood with linseed oil and replace any rotten parts. Next, we will start building the missing wooden structures necessary for the library, and cover the house with roof tiles.